﻿Social Samosa takes a look at which brand campaign performed better between TOI’s Flirt With Your City (Mumbai edition) and Brand Factory’s Made For Mumbai. From signature tunes to creating memorable jingles and now musicals- brands have been active in generating a brand recall and a unique brand identity for themselves. Recently Times Of India evoked the city love into citizens of five metro cities by launching a brand campaign #FlirtWithYourCity which took the rap route to promote their city supplements. Brand Factory too has come up with a campaign in line which seeks to channel the inner Mumbaikar of its dwellers. The core difference between, #FlirtWithYourCity and #MadeForMumbai would be that the latter is a Mumbai centric campaign, while Flirt With Your City focuses of 5 different cities with 5 videos. Social Samosa takes a look at Flirt With Your City (Mumbai Edition) v/s Made For Mumbai. To promote the spicier and the buzzier content that Bombay Times delivers to its readers, Times of India came up with a thumping rap musical created by Rawshark Films. The foot-tapping music is created by Dhruv Ghanekar, which brings together the soul and quirk of a few metro cities of India combined with amazing vocals by talented artists. The campaign aims to communicate its strengthened content and reinforce its positioning as the one-stop-destination for all news and gossip of the city’s bustling social life and everything related to the city’s popular (pop) culture. Over last few months, the brand has amplified its hyperlocal news coverage, youthful visual narratives, impactful content pointers and has brought in more exhaustive coverage across the content pillars of cinema, celebrities, food, fitness, fashion, campus, relationships, music related topics. Also Read: How TOI’s #FlirtWithYourCity conquered social media.. 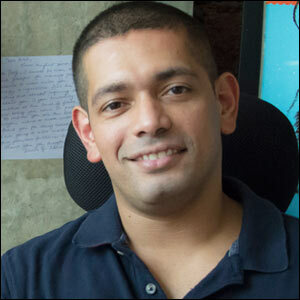 Brand Factory uses the magic of music to describe the city and the spirit of ‘Mumbaikars’. 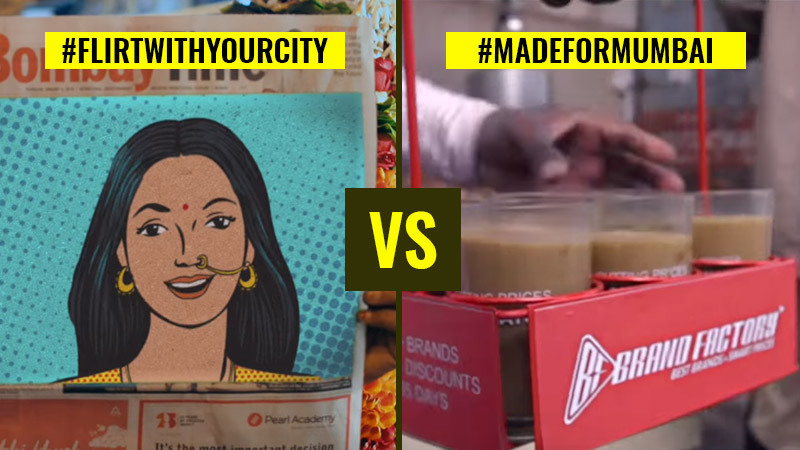 Its #MadeForMumbai campaign uses identical traits that best defines Mumbai and Brand Factory. Created on a foot tapping musical rap, the lyrics describe Mumbai’s love for little things like bun maska with cutting chai and important festivities that sparkle the eyes of all Mumbaikars. Increasing its presence all over Mumbai, Brand Factory opened its 10th swanky store located in Andheri, East. Within just a decade of operations Brand Factory has more than 69 stores in 28 cities across the country. Brand Factory released the video on June 7 and has raked in 831 views on Youtube and 8,184 shares on Facebook, here too thousands of people reacting to it. The hashtags #MadeForMumbai received 61,483 impressions. Twitterati also reacted by sharing their experiences and affection for Mumbai along with the hashtag. The retail major’s #Unbrandedtobranded sale ended on June 17 getting huge response from the cutomers, courtesy to all the social media noise created by the brand. Which one of this is #MadeForMumbai? Only a true Mumbaikar will pick the right one. Watch this space for more. 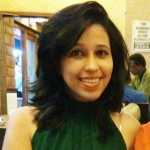 As a part of their pre-buzz, Brand Factory released a story with Humans of Bombay with their hashtag #MadeForMumbai. TOI’s social media handles including Facebook, Twitter, and Instagram started buzzing with comments, shares and likes as soon as the videos were released online. With each video garnering more than 1 million views on YouTube within two days, the clips instantly connected with the local audiences. Around 100 tweets kept pouring in every 5 hours’ time while overall the hashtag #FlirtWithYourCity received 19,464,118 impressions and more than 3k tweets. The YouTube video garnered 3.2 million views and 3,129 shares on Facebook with around thousand of people conversing around it on social media. 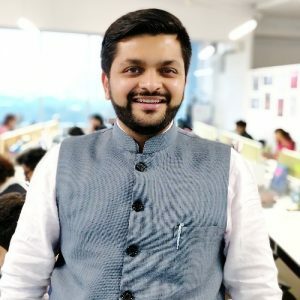 “While both campaigns used Bombay as the canvas, the Times of India campaign definitely stood out more because resonated better with the brand in itself. Celebrating Bombay, its people, its culture etc via TOI embracing it. Made for Mumbai is a great thought but fell flat in its execution. I wish they had explored the aspects of the city that would resonate with the brand philosophy of made for Mumbai. I would have loved to see them explore the much-celebrated resilience of the city and compared it with the Brand factory options up for grabs saying if when the chips are down, we pick up and move on etc. to establish the philosophy. What we get instead is a generic video on Mumbai that could belong to any brand. The TOI video, on the other hand, is well shot and the track is much catchier and more importantly resonates with the brand. Shrenik Gandhi, Chief Executive Officer and Co-Founder, White Rivers Media, said, “This is a clear case of a brand being ‘Jack of All’ and second being ‘Master of One’. While the former, Bombay Times and various city led brands of TOI have cracked the macro picture and established a strong positioning, Brand Factory has won the game in the city of Mumbai. In terms of connecting with the audience, Brand Factory is a clear winner, which 8000+ people who shared the launch post would vouch for. In fact, the narrative of brand factory is more of first-person insight than a third party multi-city campaign. TOI has successfully pulled off a week+ long campaign with right sustenance content while Brand Factory has a single public post on facebook, which is followed by various in-store campaigns. Hard Questions: How Is Facebook’s Fact-Checking Program Working?